Saturday Night Live (SNL) will be celebrating forty years on the air next year. It’s a comedy juggernaut that has been consistently delivering about 20 live episodes a year throughout those forty years and about thirty-five of them has been under the watchful eye of creator and producer, Lorne Michaels. SNL has given big breaks to people such as Bill Murray, Dan Aykroyd, Gilda Radner, Chevy Chase, Eddie Murphy, Adam Sandler, Chris Rock, Will Ferrell, Tina Fey, Amy Poehler, Kristen Wiig and Andy Samberg. Hundreds of celebrities have passed through the studios to host the show each week and take part in the live sketches. Just last season saw Miley Cyrus, Bruce Willis, John Goodman, Drake, Lena Dunham, Louis CK and Andrew Garfield host the show. It’s an American institution, kind of like Doctor Who is to Britain. Yet every year SNL has the same criticisms leveled at it. It’s not as good as it used to be, it’s old and stale, not edgy. It should be put down! Sinéad O’Connor was banned from SNL when she ripped up a picture of Pope John Paul II live on air. I think the biggest enjoyment that I get out of SNL is the live aspect of it. Even watching it the next day after it aired, I love the idea that anything could happen. Something as small as seeing the cast members break down in fits of laughter is great (Search for the the ‘Debbie Downer Disneyworld’ sketch) or maybe something like Samuel L Jackson accidentally dropping an F-bomb in a sketch as he did a couple seasons ago. 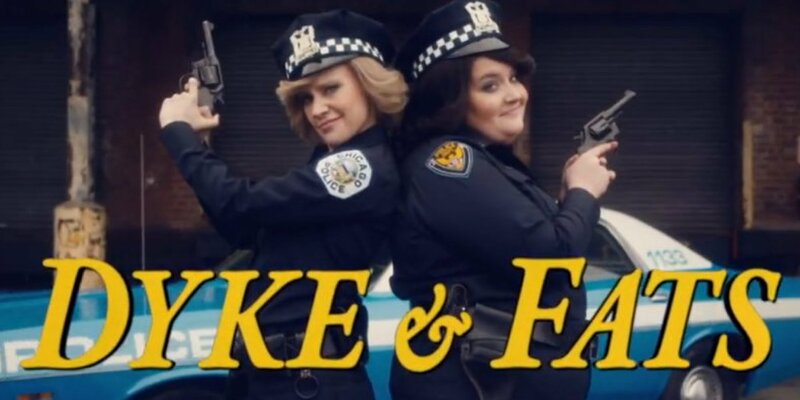 As well as the unpredictability of it all, live tv offers the chance for SNL to parody and lampoon the very latest news stories and events for humorous effect. Of course shows like The Daily Show with Jon Stewart and The Colbert Report also do this albeit through the medium of talking heads and photoshop jokes (Weekend Update does that on SNL), but SNL can also do sketches about the latest funny stories. Such as the cold open sketch from early last season which lampooned the government shut down and was a nice little parody of the film Gravity at the same time. The various guest hosts are an interesting part of the SNL experience. Sometimes hosts come through and you know exactly what you’re going to get (Jonah Hill or Melissa McCarthy), sometimes you can be completely surprised by how good a host is. When I heard that Drake was hosting the first episode of 2014, I braced myself for a dire show. I didn’t think he had any comedic chops but he definitely caught me off guard with how funny and charming he ended up being. The choice of the guest host can affect the tone of the show meaning that there is a nice bit of variety in between shows. It’s also a great chance to see somebody try something completely different from their usual typical roles. I brought up Jon Hamm before because at the time of his first appearance on SNL, he was just “that guy from Mad Men” and this was before Mad Men had become the cultural behemoth it is today. It was not known what Jon Hamm was going to be like but he went out there and he nailed it. It’s no surprise that since then he has hosted again and appeared in a range of comedy roles. The first two episodes of this season are being hosted by Chris Pratt and Sarah Silverman so I think we know what we’re getting from them. But hopefully we’ll get to see more people coming on who will be stretching outside their comfort zones. Also sometimes there’ll be special guests who’ll just drop by unannounced. Like Big Bird….freaking Big Bird! I have already mentioned some of the alumni who’s careers have taken off thanks to their break on SNL. That’s something else I like about the show, watching these young comedians and speculating which one of them is going to be the next big thing. It was great watching Kristen Wiig bloom into the comedy mainstay she is today and following their careers post SNL too. In recent years it’s been fun to watch alumnis like Tina Fey and 30 Rock, Amy Poehler and Parks and Recreation, Andy Samberg win a Golden Globe and Bill Hader just got an HBO deal recently. Any of the current cast members could go on to bigger things in the future, even recently fired cast members like Brooks Whelan or Noel Wells could go on to huge things. I think Kate McKinnon, Aidy Bryant, Kyle Mooney and Jay Pharoah are the most likely to succeed post SNL but who knows?! 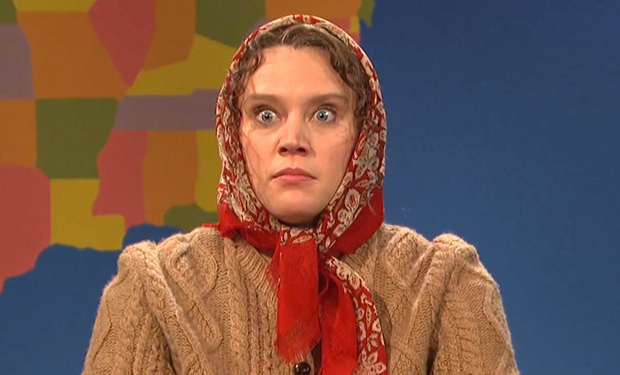 Kate McKinnon: Next big thing? I enjoy following the Behind the Scenes action of SNL just as much as I enjoy the on screen action. Lorne Michaels seems to be intent on making SNL as transparent as possible through backstage videos on SNL’s youtube channel. I enjoy hearing about the ins and outs of the writers rooms. Again, the next big thing in comedy may currently be in the writers room and we don’t know it yet. Bob Odenkirk and Conan O’Brien are both alumnis of the writer’s room. A few months ago, writer Michael Che left the SNL writer’s room to became a correspondent for The Daily Show. But now he’s back as an on camera presence as the anchor for the Weekend Update desk. I can understand how some people may not see the appeal in following the backstage drama of SNL but to me it’s similar to how some people follow the behind the scenes drama of a football club or the latest reality show about a group of dimwitted celebrities with a dubious claim to fame in the first place. SNL returns this Saturday and I for one can’t wait to see what unfolds during it’s 40th season.